Building upon expertise from architects, display operators and content designers, this handbook (Dutch) proposes a collection of practical guidelines for owners of public displays regarding the analysis of space and audience, design of the display including its technical and spatial characteristics, display deployment, and its sustainable use through time. The book lends expertise from established fields such as urban planning, architectural design and human-computer interaction (HCI) to make the process of deploying public displays more accessible. 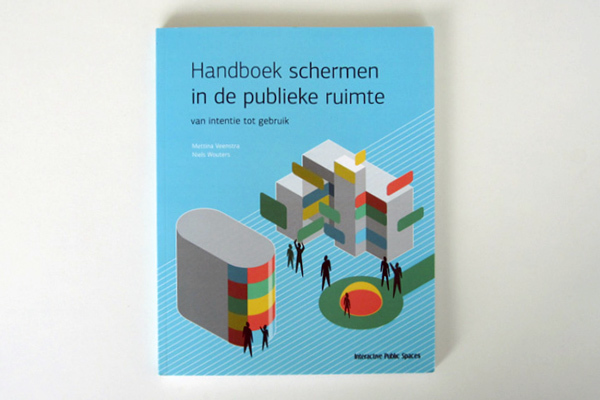 The handbook is primarily aimed at communication experts that operate screens in public space.